Will Obamacare Really Kill Jobs? “The American economy created 211,000 jobs in November, the government reported Friday, a robust showing that all but guarantees policy makers at the Federal Reserve will raise interest rates for the first time in nearly a decade when they meet this month,” the New York Times reports. 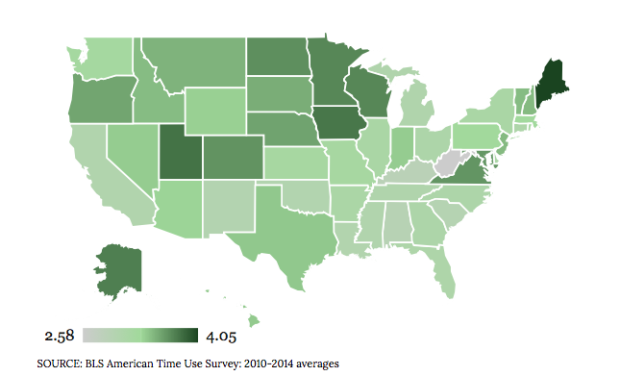 Which State Works the Hardest? Have Whites Lost Their ‘White Privilege’ Status? 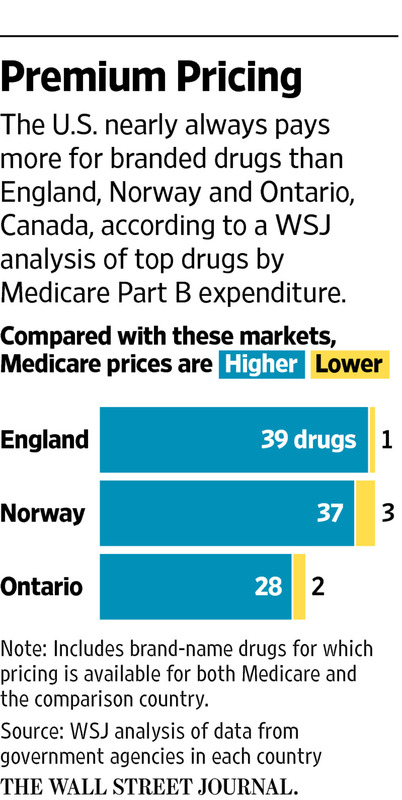 Why Do We Pay More for Prescription Drugs? What Accounts for Our Shrinking Blue State Map? 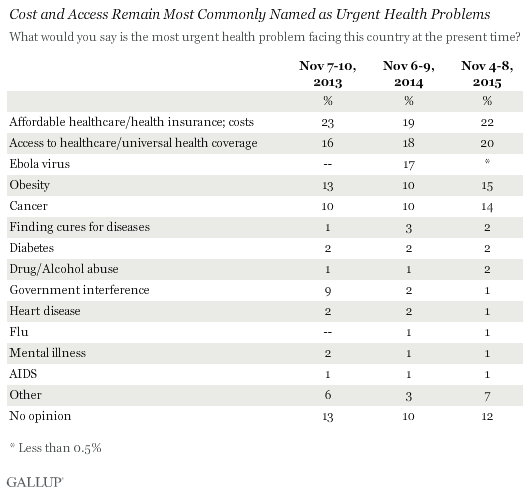 Gallup: Americans continue to name the cost of (22%) and access to (20%) healthcare as the most urgent health problems facing the U.S. Obesity and cancer are next on the list, cited by 15% and 14%, respectively. No other issue receives more than 2% of mentions from Americans. The Obama administration has made a major effort to address healthcare cost and access by passing the Affordable Care Act. 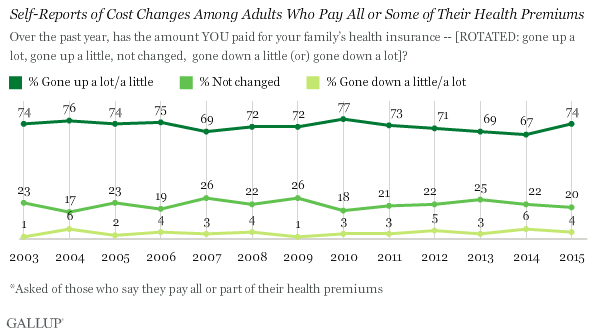 Since its major provisions went into effect, there has been a drop in the percentage of Americans who lack health insurance. But the law probably did not affect the healthcare situation for the large majority of Americans, most of whom get health insurance through an employer or Medicare. 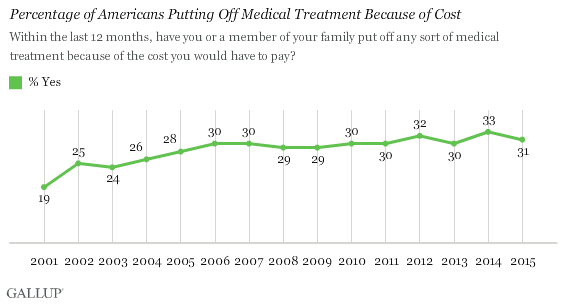 The percentages mentioning both cost and access are down from the later years of George W. Bush’s administration, even though they remain the top overall issues. Is a December Rate Hike a Done Deal?